If you have itchy, red eyes, a variety of factors — ranging from allergies to infection or trauma — could be contributing to your condition. 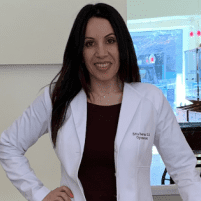 At idoc Optical in Washington, D.C., Zitta Rezvani, OD, offers comprehensive eye exams to diagnose and treat the condition causing your red eyes. If you live in the D.C. area and have red eyes and other symptoms like itchiness, strings of mucus, or crust on your eyelids, call idoc Optical or schedule an appointment online today. Many of the conditions causing red irritated eyes can have a sudden onset. At idoc optical, we do our best to accommodate your needs as soon as possible. Many of the conditions causing red eyes such as allergies, infections (pink eye), corneal abrasions, and trauma need immediate attention. When calling the office, do let us know you are experiencing a sudden onset red eyes so we can accommodate you in a timely fashion. A wide range of eye conditions can make your eyes red and irritated. Dry eye is a condition that develops when your eyes don’t produce enough high-quality tears. As your eyes become drier and more irritated, your eyes become red and itchy. You may also have a painful burning feeling or watery eyes. If you suffer from hayfever or other airborne allergies, your eyes may become red as a result of your body’s immunologic response to pollen, dust, or smoke. Pink eye is an infection that causes inflammation and irritation in the conjunctiva — the transparent layer that covers your whites of your eyes and the insides of your eyelids. Pink eye is usually bacterial or a virus and is spread through direct contact. For example, pink eye is common in children who rub their eyes with unwashed hands. If you experience a blow to your eye, a blood vessel could rupture and bleed into your eyeball, making it appear red and swollen. A chalazion is a benign lump or nodule that develops in your upper or lower eyelid. In addition to the chalazion irritating and inflaming your eyelid, you may also suffer from eye irritation, including reddened eyes. What is the process for diagnosing the cause of red eyes? At idoc Optical, Dr. Rezvani offers comprehensive eye exams and testing to diagnose the condition causing your red eyes. She uses magnifying devices such as a slit lamp to examine your eye structure in close detail. She also asks about your symptoms and your lifestyle to develop a better understanding of your condition. What is the treatment for red eyes? If you wear contact lenses, you should take them out and wear eyeglasses until your eyes return to normal. In many cases, Dr. Rezvani may recommend specific eye drops, including drops to moisturize and soothe your eyes or drops that include vasodilators to reduce the visible blood vessels. If you have pink eye, she prescribes medicated eye drops to help clear your infection. Dr. Rezvani can also provide treatment for the condition causing your symptoms to relieve your red eyes. To reduce your risk of eye infections and sore, red eyes, you should make sure to always wash your hands thoroughly before inserting or removing your contacts or touching your eyes at all. Call idoc Optical or make an appointment online today for expert diagnosis and treatment for painful, red eyes.